We’re big fans of the colorful and quirky Bobble water bottle, so when we found out that there was a jug-sized version available, we had to get our hands on it and try it for ourselves. Just like its smaller cousin, the Bobble jug is made from recycled, BPA-free plastic and encourages us to kick the bottled water habit by making purifying water fast, convenient and easy on the eyes. If you’ve been thinking about picking up one of these curvaceous and refined receptacles, read on for our full review. Aesthetically speaking, the Bobble jug is just as delightful to hold (it’s very curvaceous) as it is to behold. 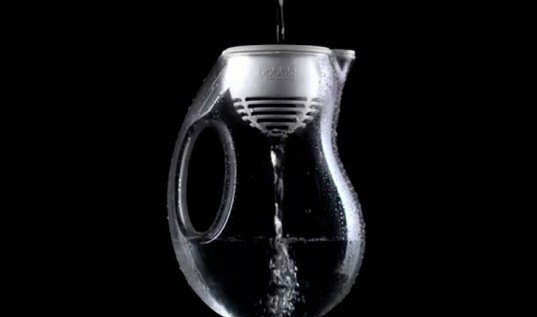 Compared to other water filtering pitchers, it’s a bit smaller which makes a big difference when you’re looking for a spot in your fridge to cram it into. The candy hues add a nice pop of color to your kitchen, but if you’re more of an achromatic person, you can just as easily opt for black or silver. The Bobble isn’t just a pretty face and nice body either. The filter performs well (faster than others like the Brita), and the non-reservoir design eliminates the need to wait for your water to filter. Aside from being BPA-free, recyclable and easy to use, the Bobble jug even has a friendly reminder service that emails you when it’s time to replace your filter. While we’re loving the no-reservoir design, we should warn you that this means that you will have to stand at your sink holding your Bobble jug while it filters in water from your tap. Unlike a Brita, you can’t just fill the reservoir and leave it on your counter. The filter is relatively fast so it’s not too much of a pain to hold the jug under the faucet for a few minutes but you won’t be able to turn your tap on full blast without the water spilling out from the top of the pitcher. 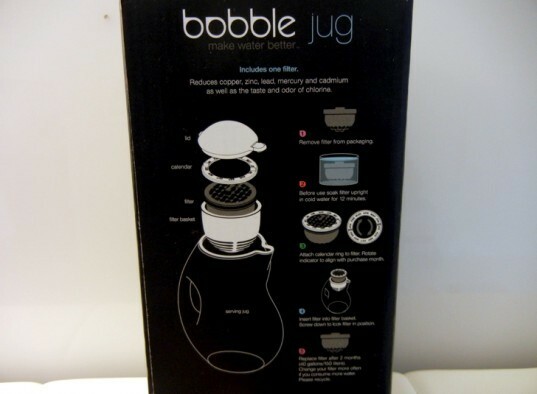 This is the main con of the Bobble jug. Another less than desirable design feature is the small cap that covers the spout of the jug. While it has a hinge, it has to be manually opened in order for you to pour your water out and if you try to pour it while it’s closed, only a tiny trickle will come out. But it seems like this would be an easy tweak for the designers to fix this small issue. The Bobble jug is totally worth the $29.99 we paid for it, and we’ve already saved that much by not buying bottled water. Aside from its functionality, we love its visual appeal and its signature Karim Rashid curvaceousness (hence the name Bobble). We’re not crazy about having to stand at the sink holding the jug while the water filters but considering the Bobble jug’s other assets, that doesn’t seem like such a big deal. 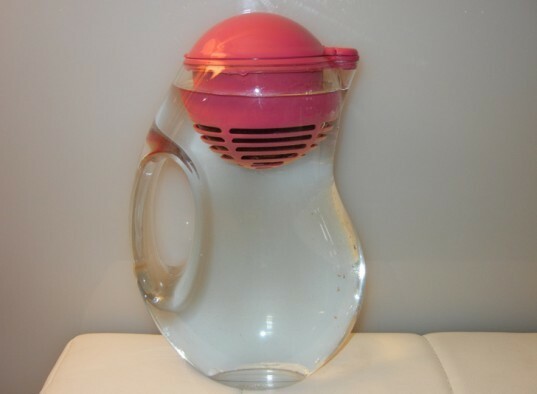 My bobble is not instantaneous which it claims it is, which means I have to stand at the sink waiting for it\\\'s tiny reservoir to empty over and over and I find it dribble when it pours so it leaves a puddle on the counter or the floor. If it is going to claim to filter instantly, it should actually filter instantly. My water had a real metallic taste. I think the filter was in too long. Would that be the cause of the terrible taste? We're big fans of the colorful and quirky Bobble water bottle, so when we found out that there was a jug-sized version available, we had to get our hands on it and try it for ourselves. 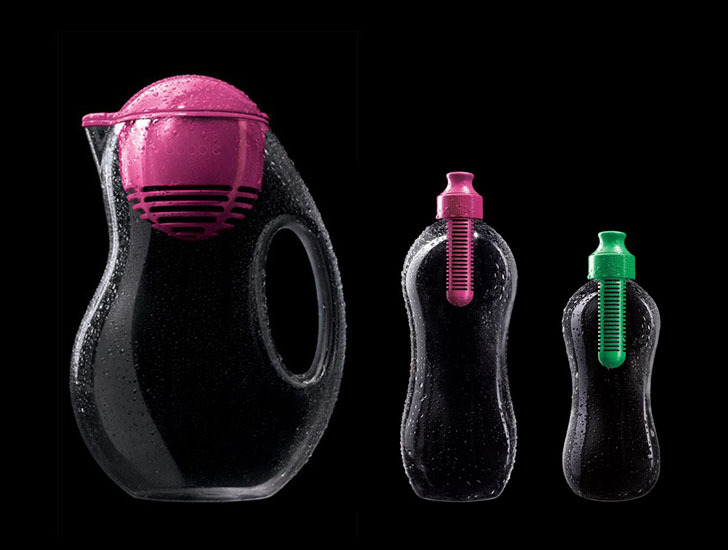 Just like its smaller cousin, the Bobble jug is made from recycled, BPA-free plastic and encourages us to kick the bottled water habit by making purifying water fast, convenient and easy on the eyes. If you've been thinking about picking up one of these curvaceous and refined receptacles, read on for our full review.